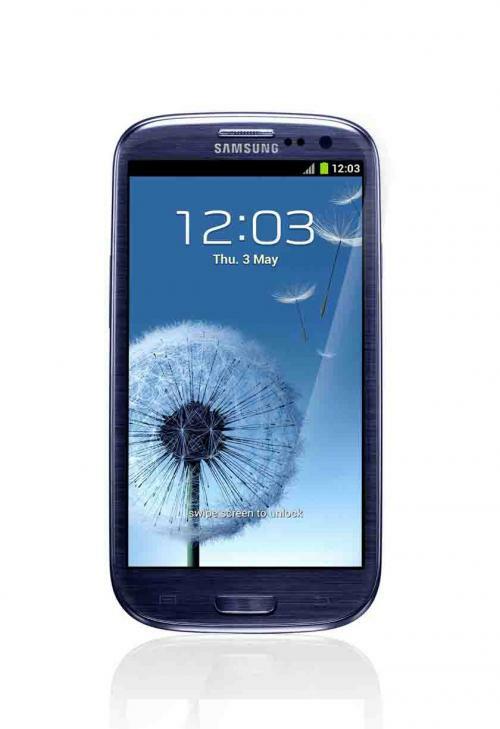 Designed for humans and inspired by nature, Samsung GALAXY S III brings a whole new smartphone experience to Jamaica. Samsung Electronics Co. Ltd, a global leader in digital media and digital convergence technologies, launches the much-anticipated GALAXY S III in Jamaica. “The GALAXY S III enables the most seamless and human-centric mobile experience. We are very excited to finally bring this highly anticipated handset to the people of Jamaica”, said Max Izaguirre, Sr. Regional Sales Manager, Samsung Electronics Latin America “I am confident that the capability to conform to consumer needs with innovative functions that have transformed the smartphone market will be well received by new and existing customers”, said Izaguirre. Jason Corrigan, Commercial Director for Digicel Jamaica, said the Samsung S III will be available in its Digicel stores as of today. He said, “The Android phone is growing in popularity in Jamaica, which shows that customers want the latest functionalities and data capabilities without compromising on style. Now with the launch of our 4G Mobile network across Jamaica, customers can harness the power of 4G and unleash it with one of the most awesome handsets available in the world today”. 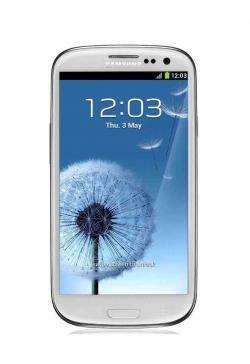 The Samsung GALAXY S III is more than a personal device that can be enjoyed by one user - it wants you to share and experience smartphone benefits with family and friends, regardless of where you are. With the new ‘S Beam,’ the GALAXY S III expands upon Android™ Beam™, allowing a 1GB movie file to be shared within three minutes and a 10MB music file within two seconds by simply touching another GALAXY S III phone, even without a Wi-Fi or cellular signal. The ‘Buddy photo share’ function also allows photos to be easily and simultaneously shared with all your friends pictured in an image directly from the camera or the photo gallery. ‘AllShare Play’ can be used to instantly share any forms of files between GALAXY S III and your tablet, PC, and televisions regardless of the distance between the devices. Under AllShare Play is also the ‘Group Cast’ feature that allows you to share your screen among multiple friends on the same Wi-Fi network; you can make comments and draw changes at the same time with your co-workers, witnessing real-time sharing on your individual device. The preloaded ‘Dropbox’ application provides an even more convenient sharing experience, supplying 50GB of free storage for two years for not just image and music files, but now also for video content. With the GALAXY S III files can also be instantly uploaded through data networks without requiring WiFi access. ChatON is Samsung’s global mobile communication service that works across all major smartphone and feature phone platforms. ChatON lets users interact with friends and family, regardless of device platform – functionality across multiple platforms let all users join in, with text, images, hand-written notes and video shared instantly. Users can chat in groups, while a Web client will allow the easy sharing of content and conversations between mobile and PC. The GALAXY S III not only presents features with enhanced usability, but also provides an ergonomic and comfortable experience through its human-centric design. Its comfortable grip, gentle curves, and organic form deliver a rich human-centric feel and design. Inspired by nature, its design concept is the flow and movement of nature. The elements of wind, water and light are all evoked in the physical construct of the GALAXY S III. In its essence, the minimal organic design identity is reflected in the smooth and non-linear lines of the device which will be available in Pebble Blue and Marble White at launch. The GALAXY S III also sports a range of additional features that boost performance and the overall user experience in entirely new ways. It introduces ‘Pop up play,’ a feature that allows you to play a video anywhere on your screen while simultaneously running other tasks, eliminating the need to close and restart videos when checking new emails or surfing the Web. ‘Live Video List’ shows a live thumbnail view of the video clips in video player playing simultaneously. ‘Live Video List’ shows a live thumbnail view of the video clips in video player playing simultaneously. Its 8MP camera features a zero-lag shutter speed that lets you capture moving objects easily without delay – the image you see is the picture you take. With the ‘Burst shot’ function that instantly captures twenty continuous shots, and the ‘Best photo’ feature that selects the best of eight photographs for you, the GALAXY S III ensures users a more enhanced and memorable camera experience. HD video can be recorded even with the 1.9MP front-facing camera, which you can use to capture a video of yourself. Improved backside illumination further helps to eliminate blur in photos that result from shaking, even under low lights. Mobile payment is also accessible with the device through advanced Near Field Communication (NFC) technology. The gaming experience is enhanced through ‘Game Hub,’ providing access to numerous social games, while Video Hub brings users high quality TV and movies. For multimedia content and more detailed information, please visit www.samsungmobilepress.com. In addition, you can find a product introduction video at http://www.samsung.com/global/galaxys3/media.html.